Hola: Espero todos esten bien en tan bonita noche. 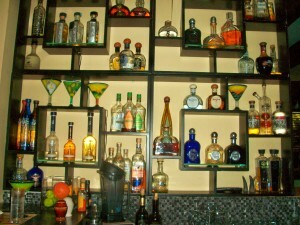 I started this blog a year ago in July and Agave was one of the first restaurants I reviewed. If you would like to see that post all you have to do is look under the Archives and click on the month of July, 2009 and scroll to 7/27. I had not even planned to go out to dinner. Once in a while I do have to stay home and cook. I love cooking. But, I found myself driving north from Rehoboth Beach to the town of historic Lewes. By the way, the traffic was light, what a relief!! Agave is located on 137 2nd St., Lewes, DE 19958. Tel. is 302-645-1232. Agave is on Facebook. Just like the many times I have dined in this restaurant, tonight was another good one. I have not been in some time, though. Waiting for the smoke to blow as they say; not because of the peppers cooking in the restaurant, but because of the crowds. I sat at the bar. 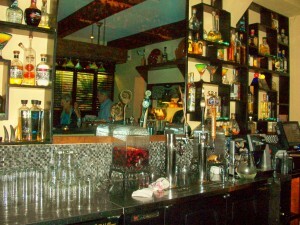 Those colorful martini glasses were still there; an extensive selection of Tequila, as well. For a Tuesday night at around 7:30 p.m. the restaurant was pretty crowded. Agave has opened an upstairs room which is perfect for having a drink while you wait for a table. There are no reservations taken at Agave. 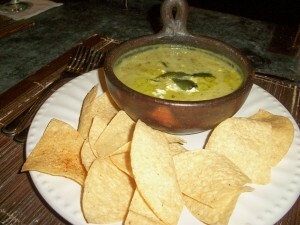 The first thing that caught my attention on the menu was a soup called Crema de Cilantro (Cream of Cilantro). It was a light cream cilantro broth with “queso fresco” and roasted poblanos. Delicious and it has been a new summer addition to the menu. Perfecta y muy bien sasonada. Agave uses a lot of “queso fresco” which is like a crumbled goat cheese. For my entree I ordered a Caesar Salad, which had a house made dressing topped with “queso fresco” and crispy bacon, house made croutons, and topped with fillet. I have had this salad many times and it was still very good tonight. The croutons were particularly good also. They tasted a bit like cornbread. 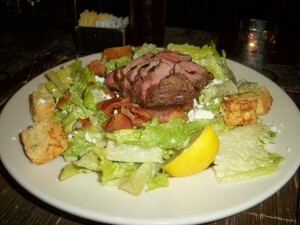 I noticed that it said that the Caesar Salad was invented in Tijuana. I did not know that or who Caesar was. Caesar Cardini, an Italian born Mexican, was responsible for its development. He was living in San Diego; also worked in Tijuana avoiding the restrictions of prohibitions. There are several stories on how or why he created the salad. He apparently added the dramatic flair of the table-side tossing “by the chef”. The other entree ordered was Chiles en Nogada; meat stuffed poblano chiles with seasonings like cumin, cinnamon and azafran. A nut sauce was drizzled on the top and a side dish of rice and beans was included. Poblano Pepper is a mild chile peper from the State of Puebla, Mexico. When it is dried, it is called Ancho Chile. It is one of the most popular peppers grown in Mexico. 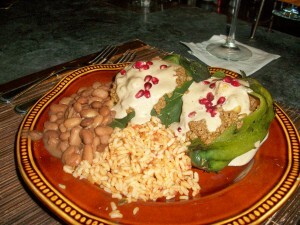 Chiles en Nogada is a sophisticated dish most popular during the Mexican Independence festivities. It incorporates green, white and red ingredients just like the colors on the Mexican flag. It was a very nice dinner; casual and relaxing like all dinners should be. Lewes looked so pretty, people sitting outside eating ice cream at King’s Ice Cream or just strolling. Yes, it was picture perfect. 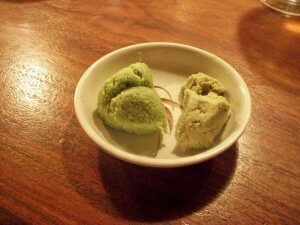 Real, fresh wasabi on the left vs. what is usually served as wasabi on the right. Remember last week when I had that sashimi craving? Well, it must be that it happens once a week. The week-end was over and I figured Rehoboth Beach was probably a little slower at the beginning of the week. 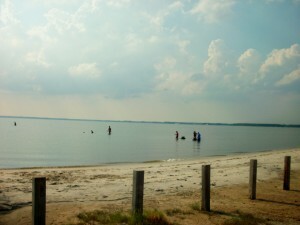 Remember, summer as we know it, here at the Delaware and Maryland beaches, is coming to an end sooner than expected. Back to the Cultured Pearl I was last night. They are located on 301 Rehoboth Ave. I do eat other foods but lately I want it. I feel healthy when I eat my sashimi. Not full; just content. In my opinion the best seat in the house at a Sushi restaurant is the bar or counter. You are sitting just a few feet from the people that will be responsible for feeding you. By sitting at the bar you can observe the quality of the seafood, the chef’s technique and the preparation of various Sushi meals. One of the other benefits of sitting at the bar is that you are able to interact with the Sushi chefs. Last night I was again sitting in front of Yasuhiro Sano, Master Sushi Chef at the Cultured Pearl. He is not the only one there, but I have gotten to know him more by sitting on that spot. My friends tell me that I am the type of person that has never met a stranger. I will say hello to anyone; even establish conversation in the grocery line. I just like to know what make people tick. Last night I met Sean at the Sushi Bar. He is from Washington, D.C., has a house in Rehoboth and has been visiting the area since his teens. He felt the same way as I did. Loves sitting at the sushi bar. As our dinners were about to make their entrance he told me that I should order real wasabi. I thought that’s what I have been eating all these years. Hey, that was not it. Wasabi is sold in the form of a root which must be finely grated before use. The wasabi that is usually served at a restaurant is a mixture of horseradish, mustard and food coloring. Very little or no wasabi is found in that paste. In a good restaurant the paste is usually prepared as needed by the customer. Once the paste is prepared, it will lose its flavour within 15 minutes. I was amazed, the flavor is so different; don’t get me wrong, it is still strong, even a little sweet with no burning aftertaste in one’s mouth. The cultivation of real wasabi is difficult and expensive, therefore, restaurants will charge about a dollar more if you do request it. Not all restaurants have it, though. The Cultured Pearl does. I really liked it. It was perfect with my sashimi and I hope that you try it and experience the difference, just like I did. Thanks for the tip Sean. Have a great day. Another beautiful one in the Delmarva Peninsula….talk to you later…. This unique event, the first one in Delaware will take place on Monday, September 6th, starting at 3:00 p.m. It will be held on the seaside grounds of the Historic Indian River Life Saving Station, located 3 miles south of Dewey Beach or 1 mile north of the Indian River Inlet on Rt. 1. 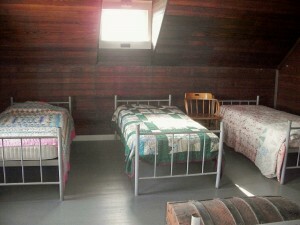 If you are not familiar with this historic site, then please check my post written on 8/29. All you have to do is scroll down to that date. Chef Matt Haley is the Host and Chef for Outstanding in the Field (OITF). This organization started in 1998. OITF travels the world to find exceptional chefs to showcase the local food culture and salute area farmers, growers, and fishermen. Fish On, Betty’s Pure & Simple, Lupo di Mare, Bluecoast, Northeast Seafood Kitchen and Catch 54 are the restaurants that feature the farm-to-table concept. These restaurants have available local farmers’ products, and their proximity to Sussex Country farms and farm markets, make it so much easier. And should I ask , what would be on the menu? 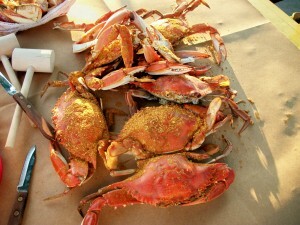 The freshest the area can provide that day; maybe crab, rockfish, sweet corn, juicy tomatoes, peaches or locally raised beef. Each course is going to be paired with an appropriate wine. You will have to attend and see. The price is $200 per person. To order tickets and for more information about Outstanding in the Field, please visit www.outstandinginthefield.com. See you there….maybe, if I can get tickets…. 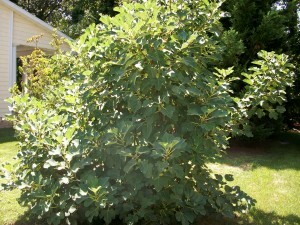 I have already written the other day how all my figs were ripening at once. You can’t keep up with them. I decided to invent the following recipe. I thought the pork loins came out great but do not do justice in the picture. The taste was sweet and tangy at the same time. 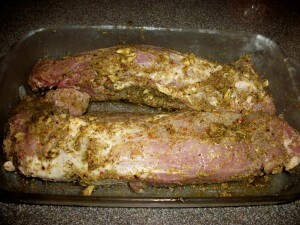 Prick the pork loins and rub the seasonings all over. 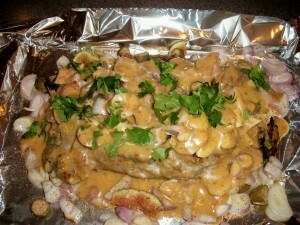 Place in refrigerator at least 1 hour but the longer you let it marinate the better. 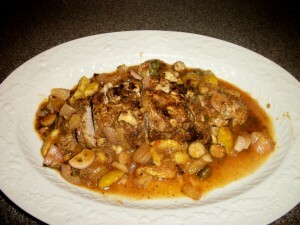 Brown pork loins on a skillet on all sides and while doing so then prepare the rest. 1/4 cup of White Balsamic Fig Infused Vinegar. I used Alessi and you can get it in the vinegar section of a good supermarket. 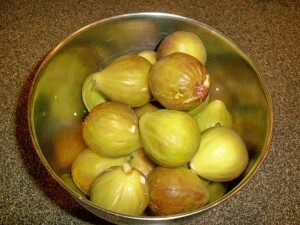 Take about 1/4 cup of the chopped figs, the vinegar, oil and chutney and process in the blender. After blending then set aside. Line a cookie sheet with heavy foil, enough of it that you will be able to make a canopy over the pork loins. After browning the pork loins place on the cookie sheet and arrange with the rest of the figs, shallots, caper berries, salt and pepper. Drizzle some or all of the blended figs/vinegar/chutney and sprinkle with cilantro, if so desired. Bake at about 45 minutes to 1 hour in a pre-heated 350 degree oven. Slice thin and make sure you put a couple of spoonfuls of the vegetables and juice on the sliced pork. Please note that I really do not use salt in my food so that’s why the Mrs. Dash is mentioned in the recipe. Fresh herbs and anything else you would like, would do just fine. I was just experimenting to see how the figs would do with the pork. 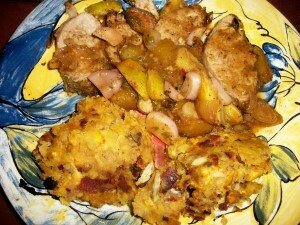 I decided that a Plantain Mash (Mofongo) would be good with it. The problem was that I had never made Mofongo. I decided to use my mortar and pestle. I would have to agree that if you do not have one, it would be hard to do in a bowl, not impossible, but hard. 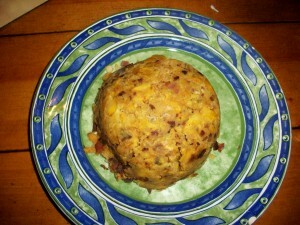 The other problem I encountered with the mofongo recipe was that I thought it was a little dry. I need to experiment and see what else I can do to make it just right. Maybe someone from the Dominican Republic will give me a hint. 1 tablespoon salt (optional) I put a tiny bit of salt. 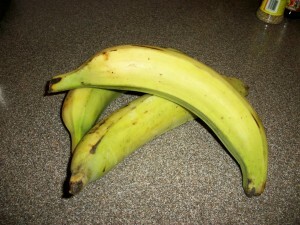 Best way to peel the plantains is cut the 2 ends and put in microwave, one at a time for 1 minute. Cut with knife lenthwise and peel. Cut into 1 inch diagonal slices and soak for 15 mintues in salted water. Drain well. 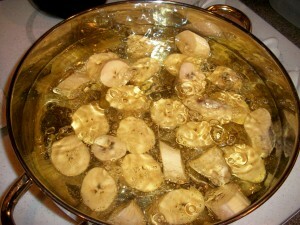 Heat oil to boiling point and add the plantain slices. Fry for about 15 minutes or until golden but not browned. Drain on paper towels and reserve. In a mortar (or heavy bowl), crush cloves well, add olive oil and mix. Remove from the mortar or bowl and reserve. Crush in the mortar part of the fried plantain slices together with part of the bacon. Add some of the mixture of crushed garlic and olive oil and mix thoroughly. It is tricky, believe me. You are supposed to shape into balls. I just let the shape of the mortar do it and turned it over. It was good, just a little dry; great taste, though. Make them your own, that’s the pleasure of cooking!! Before I even start with the actual post for my blog, and being that a blog is a person’s diary, I have to tell you that yesterday, Saturday, was the most beautiful day in the Delmarva Peninsula. 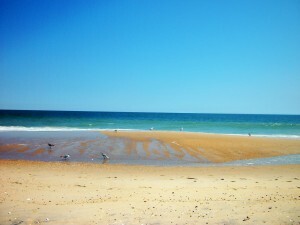 The beach was awsome. 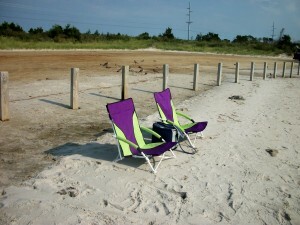 Three of us sat at the beach in Fenwick Island for hours. The amazing part of it was the varied topics of conversation. From catch up with the happenings in our own families to up to the last minute political thoughts. 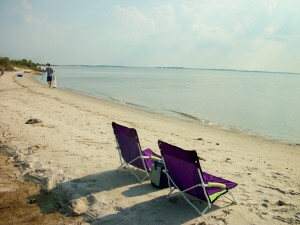 Dave, Debbie and I were non-stop talking, moving our chairs as the sun shifted. We stopped for a minute and we all agreed how lucky we are to live where we live. Everything is pretty much accessible within minutes. 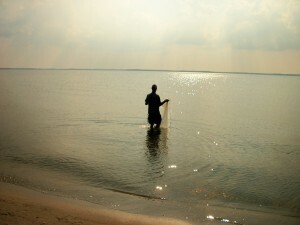 Having the ocean, the bay and the marshes at our fingertips is priceless. I am ready for my post now. Last year when I wrote about the Historic Indian River Life-Saving Station I mentioned that up and down Coastal Highway I went, for so many years, not even giving this historic site a thought. Yes, I looked and kept on going. It was not until I stopped to check it out that I realized that I have lived in this area so long and still don’t know a lot about it. This blog is giving me that opportunity. My friends say they have learned a lot, as well. They are nice, aren’t they? The Indian River Life Saving Station was built in 1876, and is the only station in Delaware that is still standing in its original location. Can you imagine? 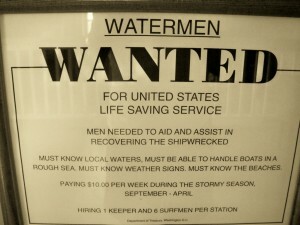 Each year, from September through April, 6 surfmen, as they were called, and a keeper lived at the station. They patrolled our desolate and dangerous Delaware beaches every night, all night long, looking for shipwrecks and warning other vessels of the imminient dangers along our coastline from 1876 until 1915. Surfmen had to rely on barometers to predict the weather. A barometer is an instrument that measures atmospheric pressures. 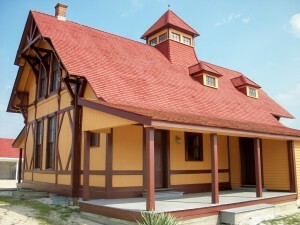 The Historic Indian River Life-Saving Station is located on Route 1, 3 miles south of Dewey Beach, or one mile north of the Indian River Inlet Bridge. 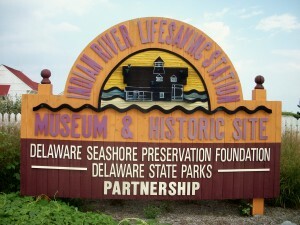 The Station is part of the Delaware Seashore State Park and besides the museum, there is also a shop and it is one of the offices where you can purchase Delaware State Park permits. The telephone is 302-227-6991. 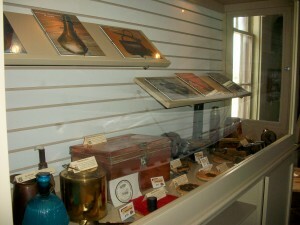 On this visit I decided to sit and view a video of the museum and its history. The cost for entering the museum is $4.00. 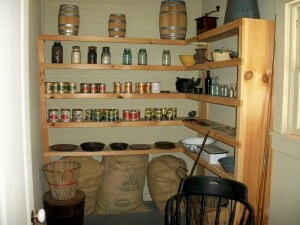 There is an audio tour that will allow you to move about the museum at your own pace, using your cell phone. Otherwise, you can just walk it; it is very well marked. 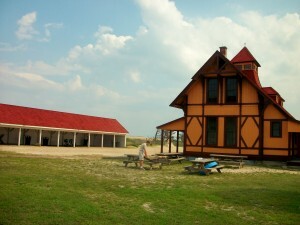 The Delaware Seashore Preservation Foundation restored the building in the late 1990’s. Then assumed resposibility for it in 2004. The building appears much as it did in 1905. Apparently, when the Station was built, it was 400 feet closer to the ocean; later moved to its current location because of the battles with sand drifting and blowing around the station. As I came in the first room I saw was what they called the Mess Room and the table, in those times, was always set. The Surfmen’s motto was “You have to go out, but you don’t have to come back”. 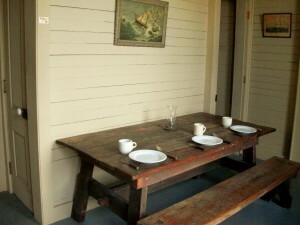 With the table set, the surfmen knew there was a place waiting for them when they returned from the beach. The pantry was simple. 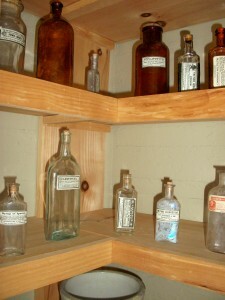 It also contained medicinal remedies like syrup of ipecac, castor oil and powder borax. In the display, there were surfmen’s checks, patrol clocks and flares that would warn ships that they were too close to shore. The U.S. flag flew over the station. 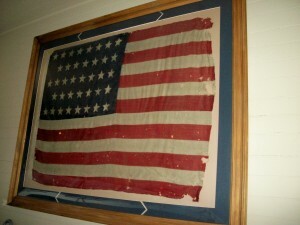 This particular flag has 38 stars and was the offical flag of the U.S. from 1877 until 1890. 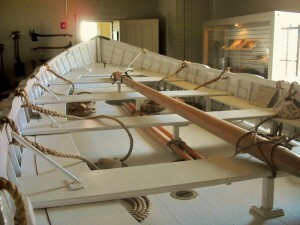 The surfboat located in this room dates from the 1930’s. There is another boat outside and very faintly it had the name of John N. Bowers, but I don’t have any info. on that one. The surfmen dragged the surfboat onto the beach and row to the shipwreck. If you noticed on the picture the surfmen were wearing “cork vests”. 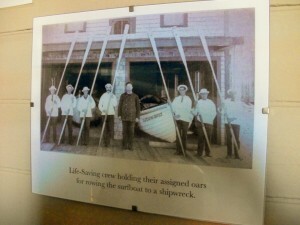 These were the predecessors to the modern day “personal flotation devices”. 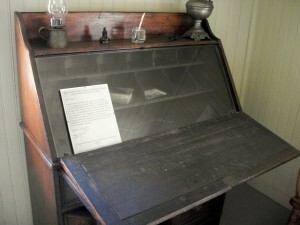 There was one keeper of the Station and the desk is similar to the one used by Washington Vickers, who was the keeper of this Station from 1883 until 1907. 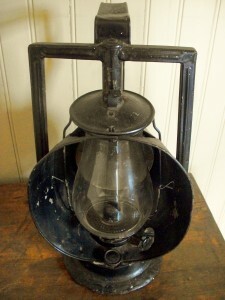 The keeper of the Station was definitely, in charge, and responsible for rescues, leading drills and maintaining the daily log. The flags were used for International Signal Code. Each flag represents a number or a letter. 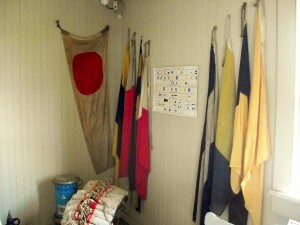 Showing different combination of flags allowed the surfmen to signal short messages to other stations or nearby ships. 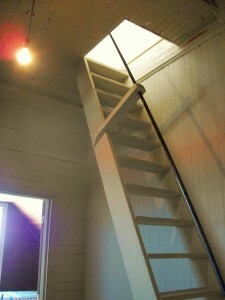 There were stairs leading to the cupola but not accessible to the public. The surfmen stood watch 24 hours a day; the guard on duty was able to keep watch on the surfmen as they patrolled the beach. The sleeping quarters were small and each of the men kept a small trunk for his personal belongings. The Station is not big; it is a simple and beautiful building. It is worth visiting if you are in the area. If you live here, stop and take a look. It does not take long. I could not help to notice a roster of those surfmen. Some of the prominent names in Sussex County were Burton, Cropper, Evans, Hazzard, Hickman, Hitchens, Lingo, Magee, Marvel, Massey, McCabe, Palmer, Quillen and many others. Their names are there and one might be your relative. The Life Saving Station has the availability to be rented for events. For more information, please call Christine Gulbronson who is the Retail Sales and Events Coordinator. Tel. 302-227-6991. e-mail christine.gulbronson@state.de.us. 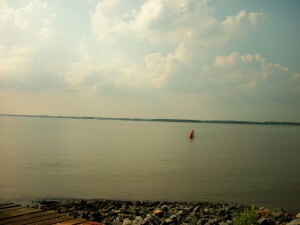 You can also check the website www.destateparks.com. 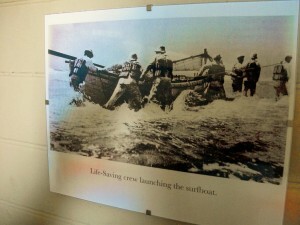 Note: Information for my post was taken from the brochure of the Indian River Life-Saving Station. My goodness, it has been such a long time since I have gone to Ed’s Chicken. 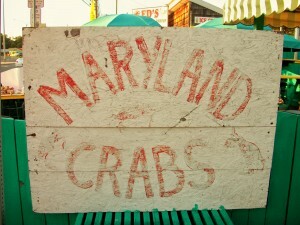 They have been in Dewey Beach for so many years. 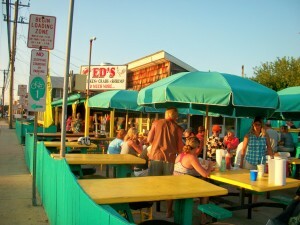 If you have visited Dewey Beach and have not eaten at Ed’s then you might as well go back and do so, because it really is an institution. I have even brought my parents from Puerto Rico through the years to eat chicken and crabs there and they always looked forward to that. 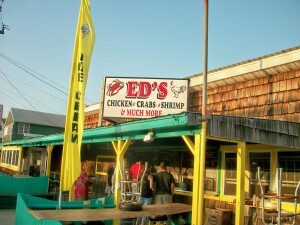 Ed’s Chicken & Crabs is located at the corner of Swedes St. and Rt. 1 in Dewey Beach. Tel. 302-227-9484. It seems that they are always open. Credit cards are accepted. When I first went to Ed’s Chicken (that’s what it was called), I loved the way they marinated the chicken. You could taste the vinegar marinade. It was delicious. Later on I would eat other things there but chicken is what I liked. Yes, an institution or a roadstand, and in Puerto Rico they would probably call it a chinchorro. It has had several facelifts through the years; paint, fencing, and umbrellas. But what has not changed is their friendly disposition. The owners always there to take care of things. On Thursday, I decided to go there after enjoying the bay. 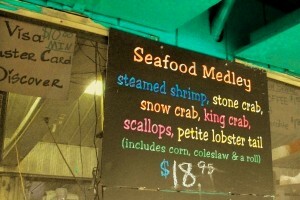 The man behind me was raising his eyebrows as he listened to everything I was ordering; 2 dozen steamed clams, 1 chicken dinner, 1/2 dozen crabs, and the seafood medley which had all kinds of seafood. 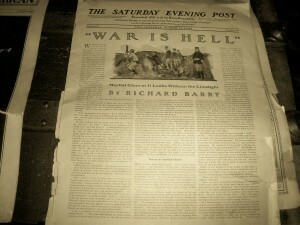 Yes, you guessed it, I was writing a post for the blog. Let me tell you that Ed’s is a very popular restaurant, but you never have to wait long. Five minutes, if that. Ed’s has carry out but the best is just sitting out on the corner of the highway and eating outdoors in the casual atmosphere known here at the beaches. No liquor license but you may bring liquor in. I have to tell you that I was a little disappointed with the chicken. It is not that it was not good, it just was not the vinegar marinade that I remembered. 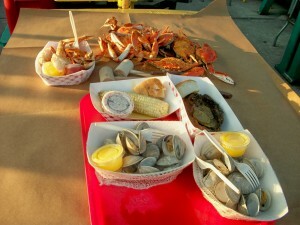 The clams were very good and the seafood medley got good reviews, as well. I thought that the crabs were o.k. but definitely I have had better ones. This has been a very good year for crabs and I was not that crazy about these ones. It was good eating outdoors; such a beautiful evening. Every time I can do this, it makes my meal better. Out and about is where I found myself yesterday; you know errands, hair appt., delivering figs to Madelon, stopping at the Lifesaving Station, etc. etc. 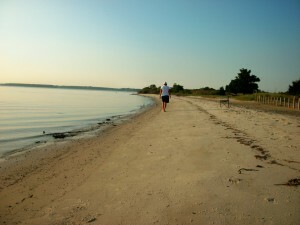 It was late in the afternoon, almost at sunset and as I was approaching Dewey Beach I decided to detour and enter New Road on the Bay. There was nobody collecting the entry fee. 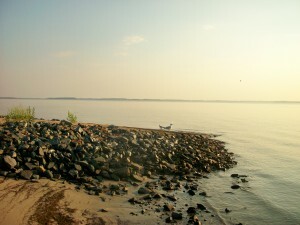 This spot is part of the Delaware State Parks. As I was taking in the view I could not help to think how lucky we are to live in this coastal area. Open spaces, marshes, wild birds, the beach. I watched the fisherman at the distance. I needed to approach him. He was seine fishing. A seine is a large fishing net that hangs in the water by attaching weights along the bottom edge and floats along the top. They are used to encircle schools of fish. 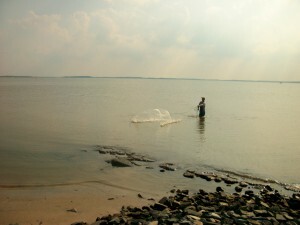 I was able to talk to him and watch him carry the net full of fish to his cooler. It looked like I was stalking him but no; this was an unexpected post for my blog. 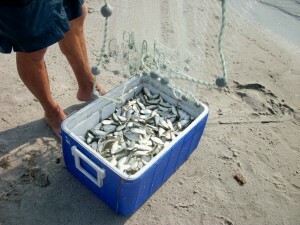 I could not believe that the cooler was almost full with Menhaden fish. He said it only took him about 1/2 hour. Menhaden is a silvery herring-like fish that travels in large schools. It is considered inedible for humans but processed into oil for cosmetics and fish meal for animals, particularly poultry. Then I spotted the clammer; his family joined him. 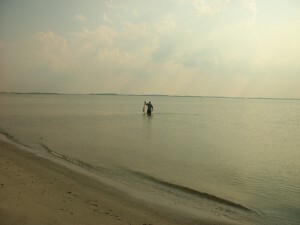 The Delaware Bay is so shallow in this area that they were able to really walk out far. 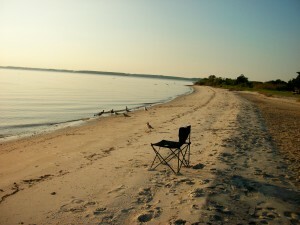 I loved finding that lonely chair on the bay. The Bay was quiet, serene, still and so picturesque; then my next thought was I better go home because, “ouch”, the “no-see-ums” are getting to me. Talk to you later…..you know I will…. Note: If you feel like grilling on this area, there is a barbecue grill and 2 picnic tables available to the public. I remember the first time I tasted a fresh fig. Well, there is nothing better. Fig Newtons? No way, not even close. I instantly became a fan. 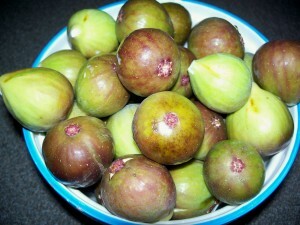 Purplish brown, greenish yellow, and deep burgundy; the colors that are so characteristic of fresh figs. Their season? August through early Fall. 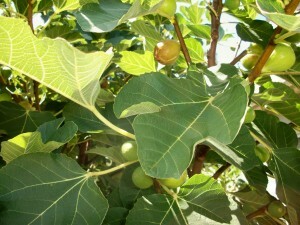 If you have a fig tree like I do and all of a sudden there are so many of them ripening at the same time, then be sure to keep them in the refrigerator because they can spoil quickly. There are so many recipes. I love just eating them off the tree. Added to salads, broiled with feta or mascarpone cheese on top, muffins, sauces, in ice cream, the possibilities are endless. The following recipes are easy and delicious. Take 1/4 cup of the milk and 1/4 cup of the figs and blend together in the blender. It will be used when ingredients need to be added to the muffin mix. Combine flour, baking powder, cinnamon, and cloves; add to creamed mixture alternately with milk, stirring just until moistened. Stir in the blended fig mixture, pecans and chopped figs. Spoon muffin batter into greased and floured muffin pans, filling three quarters full. Bake 18 minutes if you are using the mini-muffins or for 20 minutes for regular muffins. They are best served warm. It will yield 40 mini-muffins or 20 regular muffins. Combine sugar, flour, cinnamon, and nutmeg. Stir well, and sprinkle over figs. Roll Cheddar Pastry out to 1/8 inch thickness on a lightly floured surface; cut into 10 x 1/2 inch strips. Arrange in lattice fashion over the figs. Combine flour and salt; cut in shortening with pastry blender or fork until mixture resembles coarse meal. Sprinkle cold water, 1 tablespoon at a time, evenly on top. Stir with a fork until dry ingredients are moistened. Shape dough into a ball until ready to use. Enjoy it and make it your own. Reduce sugar, if you want or use different flours for baking if you have a gluten allergy. Eliminate the nuts if you have that allergy, as well.